Winter is a time where we want to bundle up and wear the most comfortable items we possibly can. It’s ugly outside and our main priority is to minimize the amount of time we are out of the house. If you’ve been feeling a little blah, you are not alone. First off you’re in luck because the sale sections are big right now and you may want to check out your favorite site’s sale page. Secondly, you can throw together some of your basic wardrobe pieces with some rad accessorizes and feel as good as new. I chose this lovely cheetah beret. I got it on sale at Urban Outfitters for $9.99. I’ve been really wanting a beret and the cheetah print adds an extra sassy effect. 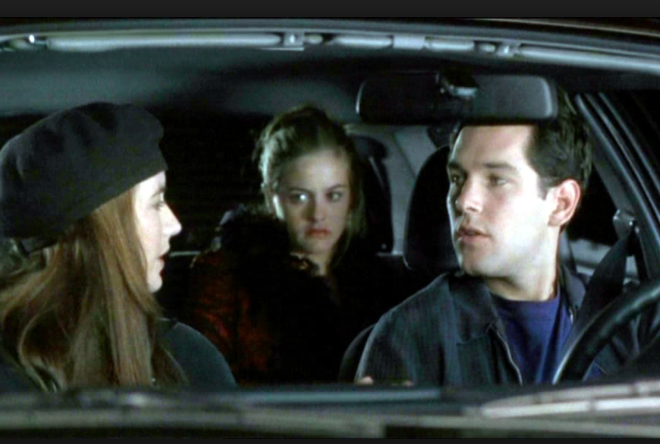 Not to mention I feel like Paul Rudd’s philosophical girlfriend in Clueless. To add to the look a printed scarf creates a gorgeous print mix for your outfit. To style the scarf try to leave it just hanging over your neck and open. 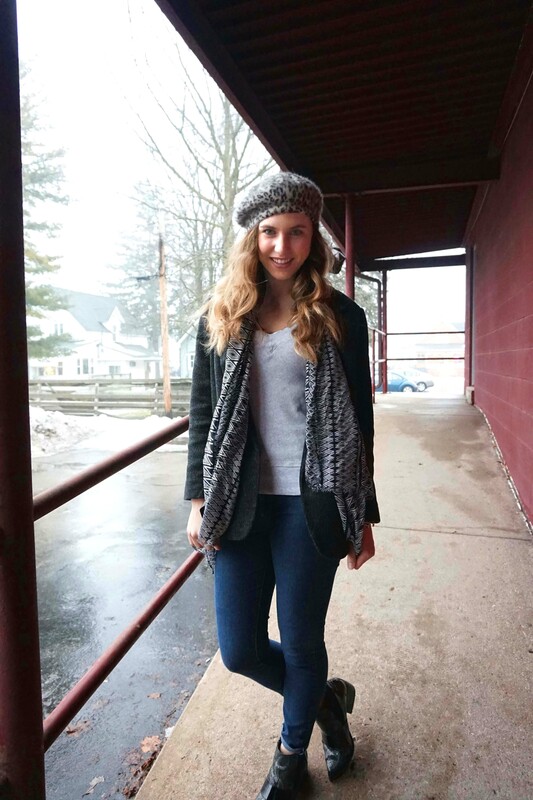 This scarf style is trending majorly as the most fashionable way to wear your scarf. To get the look check out the linked pictures at the bottom of the post.